New Renault and Dacia dealership opening this summer! New dealership opening this summer! We have some exciting news to share with you. We'll be opening a brand new Renault and Dacia dealership at our Newport Retail Superstore. This area is already home to Kia, Fiat and Hyundai and I am pleased to confirm that Wessex Garages have been awarded the franchise for Renault and Dacia, which are two of the fastest growing brands in the UK. The dealership will be holding a pre-launch event for sales on the weekend of the 22nd of August, albeit servicing and parts will open from August 3rd. It will span just over 5,930 square feet which will help create around 12 to 15 jobs in the area and will offer apprenticeships to young people. We think this is great news for the local community. Newport is a fast developing area and the new dealership will be a short distance from a brand new housing development. It's a massive investment for us, as the whole project will cost in the region of £500,000, but we're confident in Wales and investing in its future. The new nine car showroom will include separate Renault and Dacia zones and will give the people of Newport, Cwmbran and surrounding areas more choice when purchasing a new or used car. We will also be including the brands in our established Motability scheme, offering an even wider range of vehicles to choose from. On our three-acre motor park we will be freeing up more parking spaces for customers to the new dealership. We will also be stocking a full range of Renault vans and electric vehicles, as well as installing a new electric charge point for our customers. We'll be sure to keep you updated on the building process and we hope this newsletter answers any queries you may have about our new dealership, and that you find it informative and helpful. If you have any further questions, please don't hesitate to contact us on 01633 745 028 or via our Twitter and Facebook pages. We would love to hear from you. These are exciting times ahead and we look forward to welcoming you to our new dealership. It's all go at our new Renault and Dacia dealership at Newport Retail Park and we thought we'd let you know what you can expect from this next generation dealership. It will be modern and adapted to your needs, as well as being effective at enhancing your experience. There will be a central reception area in the showroom where sales and aftersales will be located to allow you to come into contact with new products and the entire vehicle range as soon as you enter the building. Your first contact with the brand will be at 'The Totem', an interactive video that introduces staff and services at the dealership. Following this, you'll be greeted and will move to 'The Welcome Desk' where we'll identify your needs and you'll be pointed in the right direction. There's also a digital lounge, which includes free Wi-Fi and videos on the brand and its product line. A friendly and informative brand bar will be installed as an extension of the welcome desk too. You can also head over to 'The Brand Wall', which displays a variety of Renault related content, news and promotions. The showroom will feel more welcoming, friendlier and more intelligible. Cars will be set out in 'zones', making it easier for you to learn about the range. Accessories and service packages will be displayed prominently at strategic locations. 'The Headline Zone' will focus on the latest offerings. Highlighted models will rotate as new ones are released. There is also a 'Passion Zone' displaying key models, 'ZE Zone', which focuses on Renault's zero emissions product line and the 'Sport Zone', highlighting Renault's expertise in auto racing. Once you've selected your model, The 'Configurator Wall' introduces you to the full range of colour possibilities. You can see what your chosen colour will look like. You can then move into the sales office as a place to talk over your choices with one of our sales team. Your vehicle will be unveiled in the delivery area, where you can also discuss accessories and service packages. Furthermore you'll be able to locate the after sales desk easily too. We want to make sure our customers are better informed, developing their own expertise and are able to compare products, options and services and we feel the new dealership caters to all of these specific needs. Our new dealership at Newport Retail Park will be home to a Dacia Evolution Showroom – a smart, modern and effective sales hub where you can choose your new car in comfort. vehicle for you. It sets out to enhance product accessibility and desirability. first up is the Dacia universe where you will find out more about the brand. You'll then move on to see the range of vehicles, followed by the 'services mural', which presents Dacia's flagship services offerings. The accessories stand will allow you to visualise the items specifically designed for your new Dacia. You'll then be able to have a sit down, take some time out, and really think about your decision on your own or with a member of staff over a coffee. Once made, you can head over to the fun and interactive Colour Chart to choose your vehicle configuration and finish. The sales advisor's office will be the next step in your journey, where you'll be given information on the three finance solutions on offer. The Dacia Evolution Showroom is simple, straightforward and very visual. We want you to feel right at home when choosing a vehicle in the world of Dacia and the new showroom will help make these decisions much easier. We're very pleased to announce the appointment of Paul Edwards as our General Manager for our new Renault and Dacia dealership. Paul has worked in the motor industry for more than 30 years so will be a real asset to the new branch. The 46-year-old has worked at Wessex Garages for five years and came on board as a Salesman. He was then promoted to Used Car Manager at our dealership on Penarth Road in Cardiff. After his role there he took on the General Manager position at our Hyundai dealership in Newport. Paul will now be the overall General Manager of our Retail Superstore including Renault and Dacia. Paul explained: “I am really looking forward to Renault and Dacia arriving at Newport Retail Park. They are great brands and will offer our customers even more choice when buying a new or used car." In his spare time the father-of-six enjoys spending time with his family. We're absolutely thrilled to announce the appointment of Neil Parrot as the Brand Manager for our new Renault and Dacia dealership at Newport Retail Park. He worked at the Newport site for 10 years before we moved in and has been a part of the Wessex team for two years as our Used Car Manager. He has been in the motor trade since 1987. Neil said: “I'm very excited to be welcoming Renault back to Newport after such a long absence from the city, but with the added excitement of the Dacia franchise as well, and the fact that they have chosen Wessex Garages to be their partner of choice to represent their brands at Newport.“Up until now all Renault/Dacia owners living in the Monmouthshire/ Torfaen and Blaenau Gwent areas have had to make time consuming trips to either Bristol, Hereford or Cardiff for either after sales care or sales help and advice and now everything can be catered for under one roof at the purpose built dealership at Newport." In his spare time, Neil plays lots of sport including rugby and football and likes to spend time with his family. We're delighted that Dean Hill will be our Service Manager for our brand new Renault and Dacia dealership in Newport. Dean has a great deal of experience working with the Renault brand after having been in Aftersales for four years at a Renault dealership in Bridgend. He also previously worked for another leading vehicle company in Bridgend when it held a Renault service contact for four years. With his prior Renault knowledge Dean will be a fantastic addition to the team at our new dealership. Dean has an aftersales background and has worked in the motor trade for 26 years with many franchises. He has been part of the Wessex Garages' family for 14 months, starting as a Parts Manager in our Penarth Road dealership in Cardiff. The 46-year-old explained: “Renault is a strong brand with an excellent range of models covering all market sectors, including electric vehicles and Dacia is a well-priced high quality brand that allows Renault to cover all the market sectors. “It is such an exciting venture to be involved with and I can't wait to apply my experience to the new dealership." In his spare time the father-of-three likes to keep up with technology and has a keen interest in many sports. We're looking for some of the leading personnel from the motor industry to join us in our new state-of-the-art Renault and Dacia showroom. We're looking for talented individuals in a variety of positions, including Sales Executives, trainee sales positions and apprenticeships. This is a rare and exciting opportunity to work with two of the top automotive brands in the UK and gain manufacturer qualifications. Wessex Garages prides itself on its reputation and the people we employ are a huge part of that. Should you be successful, you will be joining a dedicated, enthusiastic team, all of whom embrace our three pillars – of trust, transparency and value for money for all of our customers. We feel it is vital to recognise and nurture our employees' skills and there are fantastic opportunities available for the right person. Employees receive regular performance reviews, training (including manufacturer standard) where appropriate, and in some cases gain qualifications on the job. Our dedication to our staff has created a supportive and collaborative environment and many of our employees have been with us for over ten years, starting in junior roles and progressing to senior level. Wessex are also heavily involved in the community, raising over £10,000 in 2014 for charity. Working with us, you will have the chance to get involved in a variety of activities, be it one of our fundraising days or something a little more extreme – a skydive or bungee jump perhaps? This is a fantastic opportunity to become part of an award winning, forward-thinking company and join a dedicated and friendly team, where no day is ever the same. We would be very interested to hear from you. When is the new Renault/Dacia dealership in Newport opening? We will be able to start carrying out warranty work of Renault and Dacia vehicles from 3rd August 2015. We will be holding a dealership pre-launch event on the 22nd and 23rd of August, officially commencing sales of new and nearly new Renault and Dacia vehicles from 26th August 2015. In addition, we are already preparing for an official VIP launch that will take place shortly afterwards in October. There will be lots of surprises, special offers and goody bags available to all Wessex guests – further details to follow.Where will the new Renault/Dacia dealership be located? The new dealership will be set in the heart of the Spytty Retail Park in Newport, adjacent to our newly built Hyundai showroom. The new premises has a large showroom space to accommodate 9 vehicles with 5938 square meters of office and display space. The showroom will be located next door to the Tesco superstore and very close to the new Glan Llyn housing development, an excellent location in a thriving area that we are thrilled to grow further in. Can I bring my Renault/Dacia to Wessex for servicing prior the official launch? Yes, you can book your vehicle in any time before the official date, we will be able to carry out service and MOT work on your Renault/Dacia. Please note however that we will not be able to carry out any warranty work until the official launch on the 3rd August 2015. Will I be able to buy a Renault van at your new dealership? Yes. We will have an authorised Renault business and commercial vehicle centre located in our brand new showroom. There will be a dedicated Business Specialist on site that will be able to give expert advice to commercial customers based upon their specific requirements. Will you be offering Renault and Dacia vehicles on the Motability scheme? Yes we will be offering a wide selection of Renault/Dacia vehicles on Motability scheme, adding to the extensive range already available at our Newport Retail Superstore. Will you increase parking spaces at the existing Newport dealership to accommodate Renault/Dacia customers? There will be a dedicated parking area, which will be available to all Renault and Dacia customers on our 3 acre motor park therefore we envisage no parking issues as a result of our expansion. Will you sell used and approved Renault/Dacia vehicles? Yes, we will be adding used and nearly new Renault and Dacia vehicles to our existing extensive used car display. Will you be selling electric Renault vehicles? Yes, we will be offering a full range of Renault electric vehicles including the Renault Zoe, Renault Twizzy and the 100% electric commercial vehicle Renault Kangoo. As part of this development, we will also be adding an extra charging point to our site, bringing us up to a total of three. Will you be selling Renault/Dacia approved parts? Yes, we will be selling a full range of Renault and Dacia genuine manufacturer parts and accessories available to retail customers as well as trade customers. We will also open a dedicated Renault and Dacia eBay shop so that you can purchase parts and accessories from the comfort of your home. 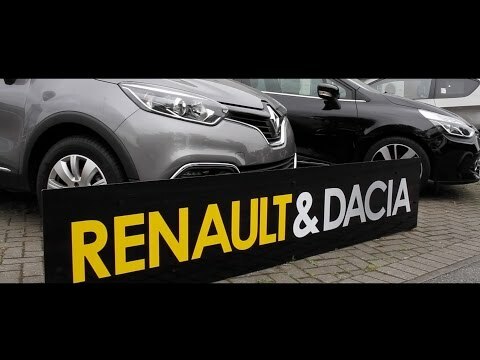 Why have you chosen Renault/Dacia franchises for your new dealership? we felt like it was the right time to introduce something new to the Wessex family. Renault are doing some really exciting things at the moment and are making waves in the market. We can't wait to bring its great range of family, sports and electric models to our customers. We really feel the brand sits well with and complements our existing ranges, embracing our three pillars of total 'trust, transparency and value for money' for all of our customers. This means we can offer a wider range of vehicles and services, making our Newport site a real 'one-stop-shop' for all. What Renault expertise do you have at the dealership? New staff at the site will have detailed training across all departments, however we are also pleased to have recruited an experienced Renault Service Manager to the team and we're in the process of hiring a skilled technician with a strong Renault history. Can I use your new Renault dealership if I am currently a Cardiff Renault customer? Of course you can. We will be thrilled to welcome all Renault customers to our dealership, regardless of which dealers they have visited previously. Will there be any special opening offers? Indeed there will be a variety of special offers to celebrate our launch, including additional part exchange allowances and low rate finance deals. Please ask in branch for details when you visit.